Your postcode and address (if you choose to provide them). We also collect personal data that you voluntarily provide to us when you contact us with queries, complaints, comments or praise. It is important that you understand how and why we use the personal data that we collect about you. This section sets out the different purposes for which we process personal data. We use your personal data to set up, manage and administer your booking with Jack Raven Bushcraft and any other services that you request from us. We will use your email address to send you email marketing (including our newsletter and competitions). You can opt out of receiving marketing emails at any time by following the instructions to unsubscribe in any of our email marketing communications. Data protection law says that we have to tell you the legal basis that we rely on to process your personal data for the purposes that we have notified to you. This section tells you what that legal basis is in relation to each of the purposes set out above. We process your personal data for all of the purposes identified under What do we use your data for? above on the basis that it is in our legitimate interests to carry out these activities. Legitimate interests: To ensure that Jack Raven Bushcraft customers enjoy the best experience possible. Legitimate interests: To provide advertising that is relevant to you. In respect of the use of your email address for email marketing purposes, we process this on the basis that we have your consent to do so. You can withdraw your consent at any time by following the instructions to “unsubscribe” in any email marketing communications. Jack Raven Bushcraft does not share your personal data with any other organisations. 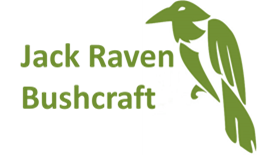 Jack raven Bushcraft retains your personal data for as long as necessary to provide you with our services as described above. However, we may also be required to retain this data to comply with our legal and regulatory obligations, to resolve disputes, and to enforce agreements. We will keep your personal data for 10 years or until you ask us to erase it (see section below). You have a number of rights under data protection law. These rights and how you can exercise them are set out in this section. We will normally need to ask you for proof of your identity before we can respond to a request to exercise any of the rights in this section and we may need to ask you for more personal data, for example to help us to locate the personal data that your request relates to. We will respond to any requests to exercise your rights as soon as we can and in any event within one month of receiving your request and any necessary proof of identity or further personal data. If your request is particularly difficult or complex, or if you have made a large volume of requests, we may take up to three months to respond. If this is the case we will let you know as soon as we can and explain why we need to take longer to respond. You can ask us not to send you direct marketing or advertising. You can do this by using the “unsubscribe” option in any of our email marketing communications. You have a right to complain to the Information Commissioner’s Officer (ICO), which regulates data protection compliance in the UK, if you are unhappy with how we have processed your personal data. What if this policy changes?